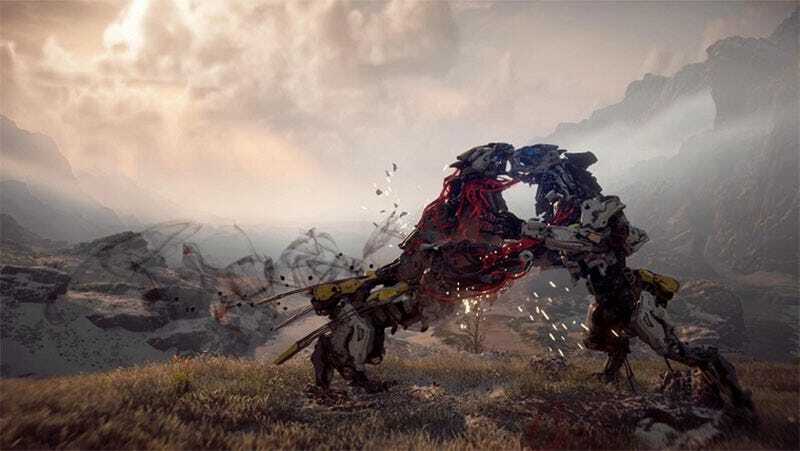 Thunderhoss has been putting in work pitting Horizon Zero Dawn’s robot dinosaurs against each other in deadly combat, filming them as an innocent bystander (after overriding one of them to make it an “enemy”) then providing commentary over the top. It seems like something that drunk people could be making bets over. And if they’re not then they should be. You can watch a lot more of these vids here.